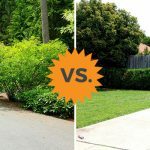 Driveway sealing is an easy and cost effective way to protect and prolong the life of your driveway. 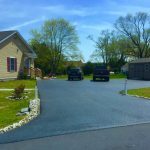 Asphalt surfaces are particularly susceptible to wear and tear, both from weather and from automobile traffic, and the grade of asphalt commonly used on driveways is even more so. 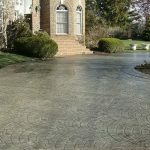 Driveway sealing at regular intervals gives your driveway the added protection it needs to last longer and resist deterioration. If you’re not sure on this point, consider the constant upkeep the asphalt roads in your community need in order to stay in good shape. Add to that the fact that the asphalt used on roads is generally a higher grade and made to withstand a higher level of abuse than the asphalt typically used in driveway applications, and you can see why it’s important to keep up on regular maintenance, including asphalt sealing, in order to fend off major projects such as repaving a crumbling asphalt surface. 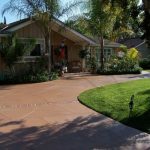 Sealing your driveway has many benefits when it comes to preserving your concrete driveway. 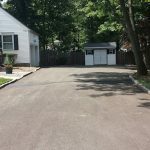 First and foremost, a properly applied driveway sealer repels water, perhaps the single most harmful agent when it comes to deteriorating asphalt surfaces. Concrete has a natural tendency to crack if water is allowed to permeate it, and this tendency is only increased by the weight of cars regularly driving over it. Once those cracks appear, water further damages it, especially in cold climates where it expands and contracts with freezing temperatures. Other enemies of your driveway include sunlight and oxygen, both of which hasten corrosion. 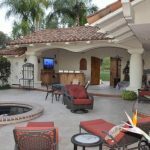 By regularly applying a quality driveway sealer to your concrete you can prevent water, sunlight, and air from permeating your asphalt and prevent these problems. 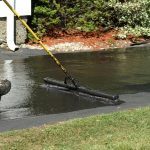 As an added benefit, driveway sealing also repels oil spills and leaks and makes it much easier for you to sweep and clean your driveway surface. As a general rule you should seal your driveway every 1 to 3 years. More specifically, if you can see the color of the individual stones that make up your asphalt surface, you know it’s time to seal it up. A few rules apply before you seal, however. For starters, never seal a new asphalt driveway. Asphalt needs a minimum of six months for the oils in it to evaporate. The less oil, the harder the driveway, which is the goal. 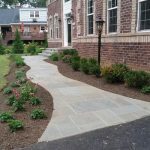 If you apply driveway sealer before your asphalt has time to cure, it won’t achieve the necessary hardness and all your work will be for naught. Other things to consider are the outside temperature, which must be fifty degrees or higher for the sealer to adhere properly, and the weather. Ideally you want your sealer to be on your driveway for at least 48 hours before any rain comes down on it. Need to find a pro for your Asphalt Sealing? 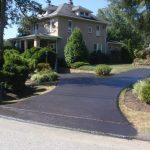 Driveway sealing is an important aspect of asphalt driveway maintenance, however it’s not the only thing you need to keep up on. If your driveway has pre-existing cracks, potholes or other signs of wear, it’s vital that you fix those problems before you apply a sealant. 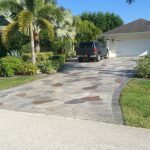 That being the case, your best bet is to contact a professional that won’t only apply your sealant, but who will also evaluate your driveway for other maintenance needs that need to be addressed before you perform this necessary task. Level driveway need sealant (820 sq. ft.) Ready to go! I didn’t realize that the asphalt used on driveways was of lower quality than that of roads. Mine has been looking a little weather-worn lately. I’ll have to find someone to come and put a sealcoat on my asphalt driveway.